WHERE WERE YOU JULY 20 1969? 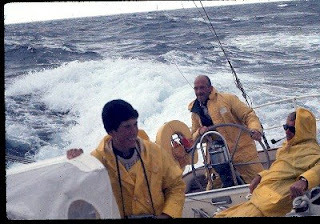 I was aboard “Carina” having finished the trans-atlantic race to Ireland, we were headed to Cowes for the Admiral’s Cup and Fastnet races. 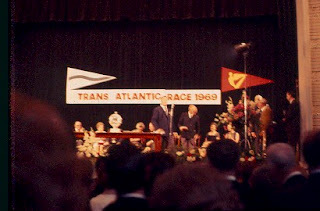 ( The US team won the Admiral’s Cup that year). 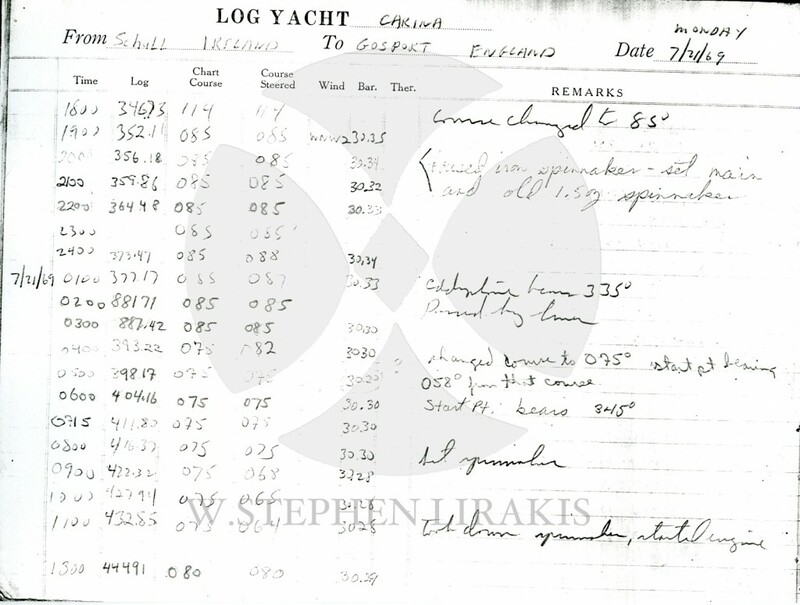 I remember it being cold and foggy as we huddled around the radio at the nav station to listen the the BBC which stayed on beyond their usual sign-off time of mid-night to carry the news of the moon landing. I will add that when I returned to the US at the end of the season; my college roommate was coming to pick me up at the airport, when another college friend passed me and asked: “how was Woodstock?”. I replied: “what was Woodstock? I was probably the only one of my generation not to have gone, much less not to be aware of the event. 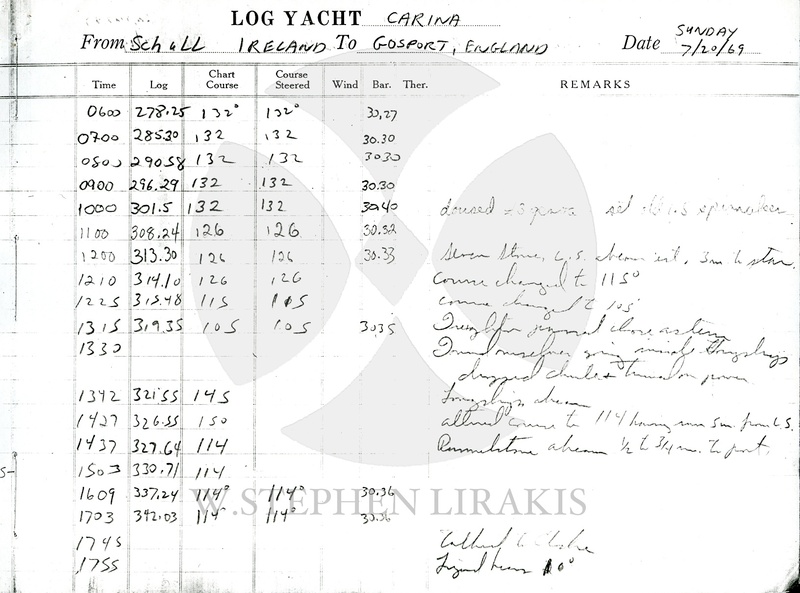 Posted on July 21, 2014 Categories admiral's cup, apollo 11, carina, cork ireland, cowes week, fastnet race, moon, neil armstrong, photography, richard b. nye, richard s. nye, royal cork yacht clubTags apollo 11, carina, moon landing1 Comment on WHERE WERE YOU JULY 20 1969? June 1969 was the start of the Trans-Atlantic race to Cork Ireland from Newport Rhode Island at the Brenton reef tower, now just a memory. 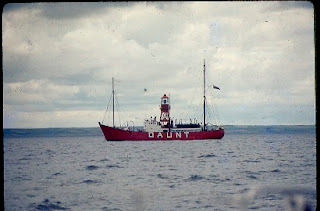 the finish at Daunt light ship. Sailing aboard “Carina”. 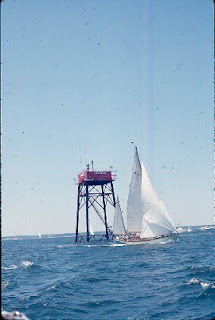 We won our class, in a race that was commemorating the anniversary of the oldest yacht club in the western hemisphere The Royal Cork Yacht Club, founded in 1720. It is hard to summarize a 15 day long race in a few pictures and a few paragraphs. 1969, as many of you may remember was an eventful year. 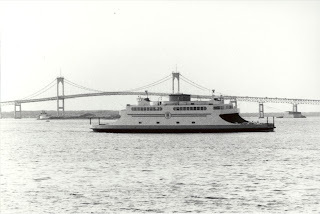 The Newport Bridge was completed. I took the photo of the bridge and the ferry from the stern of “Carina” as we headed out to the start. I returned at the end of the summer, my college roommate picked me up at the airport. The question on everyone’s lips was :”did you go to Woodstock?” To which I replied : “What’s Woodstock?”Perhaps my most memorable moment of the race, was the cold rainy night that the BBC stayed on the air after midnight to carry the landing on the Moon. 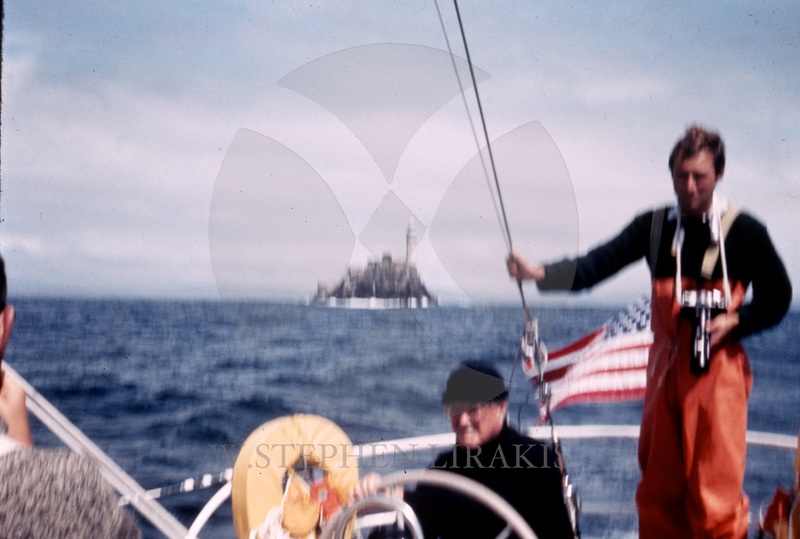 After cruising the south and west coasts of Ireland, where the Irish where the greatest of hosts, “Carina’ headed to England for the Admiral’s Cup and the Fastnet race.